Today I wanted to talk to you about harnessing the power of someone else to achieve your goals. My friends and I were talking one day about what qualities we love about each other but didn’t currently possess in our own lives. For example, one of my friends keeps and maintains a very clean home. So she explained to us how she does it and went step by step. So to emulate what she does in her life and have that translate into my own life, I harnessed my “inner Rachel”. It didn’t happen overnight by any means, but as I practiced my inner Rachel, I noticed that maintaining my clean home got easier and easier. It wasn’t something that was innate for me, but it was something that I was able to harness and embrace. So I challenge you to harness an “inner someone”. It could be a friend you admire or someone famous. For example, if you like the way Steve Jobs went after his vision, harness your inner Jobs. Or if you like how peaceful Deepak Chopra is, harness your inner Chopra. If it is a friend, ask them to explain what it is that you admire and how to achieve that. If it is someone you don’t know, study them and immerse yourself in how they accomplish what they do. Pick a trait you admire from someone and start harnessing that person as you incorporate their attitude and way of doing things in your life. You will see how much easier it gets as you practice your harnessing. 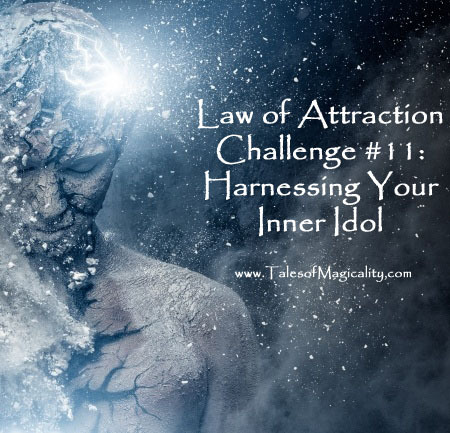 Take this week to harness your inner idol! What an interesting challenge! I think I am going to harness my inner Jack Canfield–I am going to work on really persevering, not being put down by rejections on the things I love and desire, and not accepting no as an answer!